In 2011, we refinanced to a 15-year mortgage that had a 3.375% interest rate and I thought we were set. At the time, that offered us near the best rate that had ever been available, and it put us to a point where the payoff date would be right before our son would start college. I would be the ripe old age of 52, which seemed like a great number to be potentially mortgage fre. Yet here we are, about to consider a mortgage refinance. So what changed that is making us consider another refinance? There are a few factors. We have great credit, so I think that we could easily qualify for the lowest rates on a 15-year loan, which would put us at 2.75%. 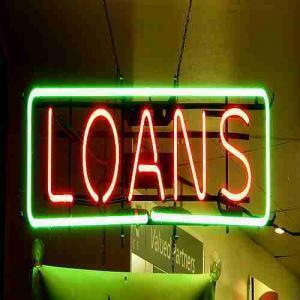 A half-percentage point definitely would offer some advantages over the life of the loan. If we rolled over our current balance, we would extend our time to pay it off, but we would free up a few hundred dollars per month. Right now, with us being a single income household, we definitely have to watch every penny. Not that we wouldn’t if we suddenly had a few hundred extra dollars per month that was not already accounted for, but it would give us flexibility. We could pay the same amount as we did and finish the mortgage off anyway, but if we chose to do other things, it would give us the flexibility to do so. Heck, looking back at the last five years, if we’d have re-financed to a 30-year mortgage and put the cash difference into an S&P index fund, we’d likely be a lot further ahead in terms of our net worth. So, even using part of the difference to boost our retirement contribution is very well a consideration. The flexibility isn’t only for spending! We would get our mortgage refinance from someone who doesn’t have this in the window! in or nearly done with college. Since I was pretty proud of our original goals with respect to age and the timing, my wife was surprised I was able to give these up. Honestly, when I looked at things, neither turned out to be a big deal. I know I’ll be working at 52. I know I’ll be working at 57. So, when I really sat down and thought about it, extending the time to be mortgage free wouldn’t be impacting any major life goals. I also look at it that the freedom and the savings we’d get along the way are an offset to the earlier payoff advantages. To me, re-financing would offer a little bit of the best of both worlds. Currently, we itemize our deductions every year. The amount of mortgage interest plus the other qualifying items add up to more than the standard deduction. Because we pay less and less interest each month, we’re near the tipping point. A lower payment would drop us well below the standard deduction amount, but we’d get to capture that full amount anyway. In fact, my goal would be to pull off the re-finance by the end of the year so that any closing costs could be itemized, giving us a nice big deduction this year. Everything is speculation, of course, but it seems like these low rates can’t last forever. I’ve seen that the Fed may hike rates next month, which could start a gradual push upward of all rates, including mortgage. I’ve also seen that some economist think that Trump’s economic plans could push up inflation. This would eventually send rates upward. I know it’s been said before, but it seems like rates have a better chance of going up near term. I’ve never taken ‘cash out’ of a re-finance. Ever. During our last re-finance the numbers came up that we were supposed to get something like $500 out, and I refused. I made them re-write it. So, my wife was very surprised when I suggested that we could take a modest amount back for improvements. You put any cash out back into the house. My hard and fast rule is that equity taken out goes right back in. We’d basically be looking at doing some upgrades around the house. I’ll cover some of the ideas that we have in a later post. And quite honestly, I’m not even sure we’d take any equity out at this point. It would raise our monthly payments, reducing the cash flow benefit. It’s just an idea. I’ve actually had all of my mortgages and re-finances through Citi mortgage, so they’ll get my first call. Hopefully they give me the best rate, in which case it would hopefully be a quick and easy process. If we can get this rolling soon and complete by the end of the year, we could be on the way to saving some money and having some flexibility. I go back and forth on this. To many having a paid for home is “financial nirvana”. But a very wise man told me once….”the best time to borrow money … is when you don’t need it”….. For instance in your case ….you’re young….have stable employment…excellent credit…..So you are very “bankable”. Tack on 10 years…some employment issues….some health challenges …. some credit issues….AND not so much. IMHO I think we may just look back on these days of <3% mortgage rates and want to kick ourselves for not borrrowing as much as we could. Recently I was notified by my CU that I could borrow money in the form of a 10 year mortgage @ 2.25% with no points and maybe even some closing "help". My thought is one could borrow this money and invest it in a utility, phone company or mutual fund and pretty easily double or triple the return. I'll tell you when you run the numbers on an amortization tool and figure in reinvesting the dividends from the invested $…..the numbers are compelling. OR one could look a bit further into the future and actually take out a 30 year mortgage for 3.25%. This would allow a lot of flexibility in one's future and could pay the loan off with the proceeds over time. My thought is the "key" is to not take the proceeds from the "refi" and buy that $50K Ford F-250 you've been eyeing up. One needs the discipline to "invest " the money and not "spend" it. But there is much to be said for the "peace of mind" that a "paid for home" provides…. Very true. I’ve always been in the camp that if someone has paying off their home as a goal even if they’re getting less of a return than in other areas, I’m all for it. There’s a value for that peace of mind. But at the same time, if the numbers add up where delaying the home payoff makes sense, that’s fine too. I have always said that the answer to ‘Should I pay off my home or invest?’ is different for every situation. I’ve heard that American interest rates will likely rise over the next year, so you’re wise to make any planned moves soon. I’m a real fan of early mortgage payoff, but I understand the logic that is a part of a slower-payment strategy. There’s such a psychological boost for me at the thought of the mortgage being done with. Mind you, I’ll be just about the same age you will be (56 or 57) when we pay ours off – just a lot sooner : ) When we did house renovations, we saved up for them over the better part of a year, and I’m glad we took that route. Good luck on all of your big decisions! We are currently in the process of obtaining a refinanced mortgage from our local bank to get a 15-year refi. Our rate is 3.25% and we started the process the Thursday after the election. Two weeks ago the rate was just below 3%. National mortgage rates are rising at the moment & it even made national headlines for part of a day as well. I’m overdue to attempt a refinance on our rental property but I didn’t realize that closing costs were deductible – off to do some research! Important to determine how much of a borrower you plan to be in your life before you begin any investment repayment strategy. A lot of people simply don’t like borrowing and prefer investing money in the bank, and that’s a fine conservative strategy. Thanks for your sharing your personal thoughts on this matter, though.